When a fridge stop working or a washer starts leaking, it can throw a wrench in your daily routines. Many home and business owners try to handle the problem themselves to save money. However, unless you are trained and experienced, this might end up leading to costlier solutions. Give yourself a break and contact Mr. Appliance of Springdale and Rogers. Our skilled appliance repair experts offer quality, reliable services in Springdale, Rogers, Fayetteville, Bentonville, Lowell, and beyond. Are you ready to get started? Call (479) 777-8289 to schedule a service today! However, our parts that we provide during repairs along with all of our work is garaunteed! The Consumer Electronics Association estimates that the average American household uses approximately 24 different appliances. It can be easy to forget just how much these units do for us – until they break down, when it becomes abundantly clear! Instead of adding another task on your “To-Do” list, call our skilled appliance technicians in Springdale and Rogers. For over 20 years, Mr. Appliance has been the trusted name in appliance repair, installation, and services. We are a nationally recognized and respected brand. Our customers trust us because we put effort and heart into everything we do. When you see our marked van pull into your driveway, you can rest assured you will receive quality repairs in a timely manner. As a locally owned and operated business, we have our roots in the community. We are familiar with the local brands and models of kitchen and laundry room units, allowing us to work quickly to get the job done right the first time. 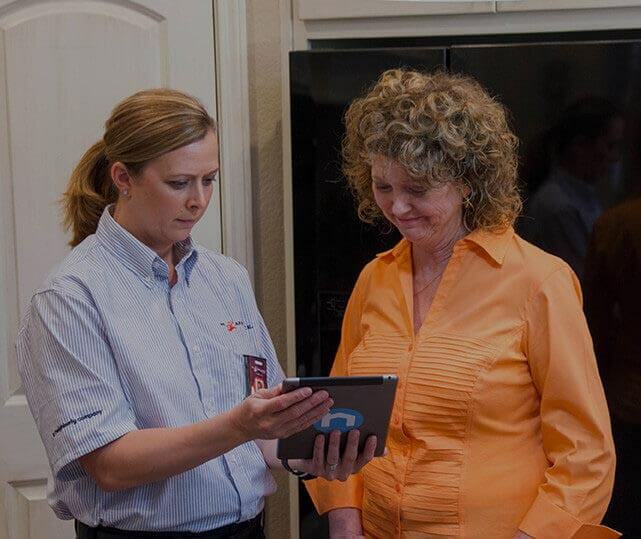 Call (479) 777-8289 to schedule a service with one of our appliance repair technicians in Springdale & Rogers.